Guys, please help me to identify this watch model. I would agree with Geoff, the style is similar to various Sea King models of this era. Although an exact ad match cannot be found, I think Sea King is accurate. 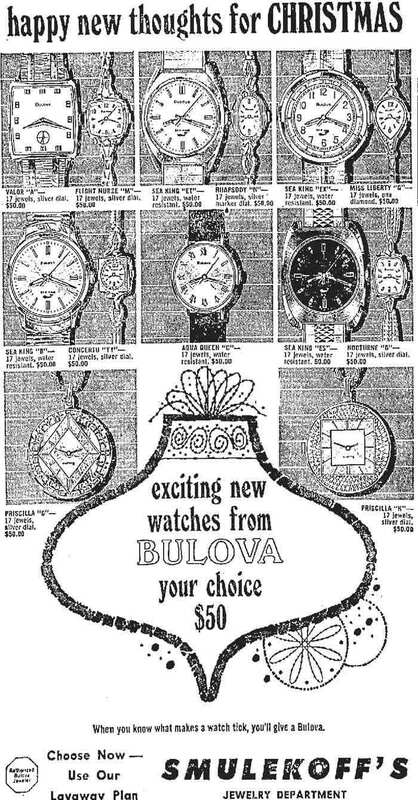 Totally agree with it being a Bulova Sea King. Adverted listed above shows a varaint with a dark dial, but does not detail colour.. No variant determined at the moment.